This will be a weekend of change. From the anticipated fallout of a storm that threatens to be the most widely damaging to the eastern seaboard of the States in 100 years, to the dramatic shift of seasons in most of Canada. While Hurricane Sandy is scheduled to collide with the severe cold front that has now moved in, we must be adaptable to the energy shifts that result. 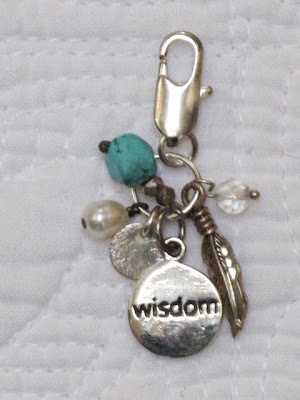 This little Chi Charm is a reminder to rely on our innate intuitive wisdom as a grounding guide - regardless of change. Speaking of which, my laptop precedes my arrival to the deep south this week. I plan to travel light when I fly, so I wish you and yours a cozy few days and a productive week to follow. Cheers dears. Have been thinking of you dear friend....I hope all is well.